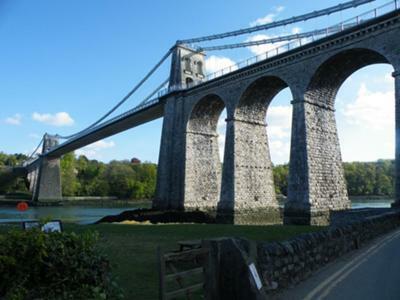 I visited the island of Anglesey for a short weekend break in November 2009 and bought a copy of the guidebook as I was interested in long distance hikes. I picked May as I knew the weather would be fairly dry and sunny but not too hot. I took 7 days to cover the entire 125 miles, camping on 5 nights and staying at a B&B on the other. What an amazing time I experienced, and I had to overcome a lot of obstacles along the way. On the first day I slipped on a footbridge and fell into a stream, soaking me through and damaging the LCD screen on my camera. However, I managed to dry it out enough so that it would work through the viewfinder, but eventually had to buy a new one. I also lost my guidebook as it was soaked through, meaning I had to rely on the O/S maps I had brought with me. These were excellent as always and mark the Path out clearly, but lack the additional information the guidebook provides. By day three I had decided to get a new copy of the guidebook so took a train from Rhosneigr to Llanfairpwll (I was walking anti-clockwise). Unfortunately I arrived too early for the tourist information so had to wait 30 minutes. When they opened I found that there was a new 2010 version of the guidebook due out in July, and the old copies were sent back already, so I'd wasted a journey. Returning to Llanfairpwll station (the famous station with the very long name) I found that I had another 75 minutes to wait for a train back to Rhosneigr. I almost gave up at that point, but was determined to complete the walk. 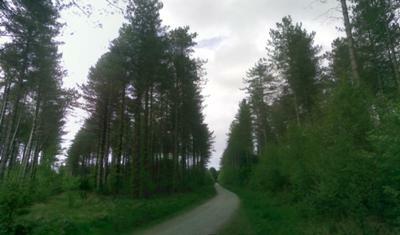 I ended up walking part of the route in reverse but still managed to completed the full circuit. It has to be said, it's a testament to the variety and beauty of the island that I ended up thoroughly enjoying the trip. The Coastal Path is not easy, and if I was doing it again I would take at least 8 days next time. There's plenty of good campsites along the route and some amazing sites that you probably wouldn't see if you were in a car. 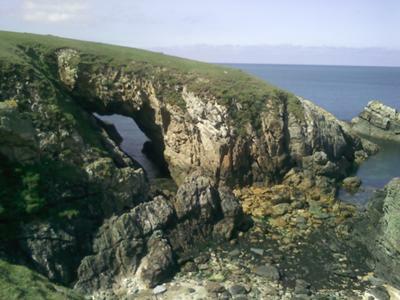 Highlights for me included the amazing coastline around Holy Island, Newborough Forest with its red squirrels and passing under the bridges on the Menai Strait. 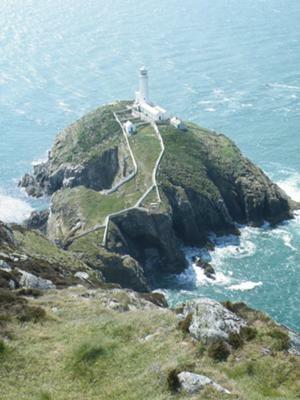 The image of the South Stack Lighthouse posted on the webpage is much interesting and I would like to visit the place. Could anyone post more on the location of the place so that I would be able to know more about the place? yes, good account. we've also done some of this coast. very beautiful views. a week sounds about right to me.